Being stuck in Charleston gave us some time to work on boat projects that had taken a back seat since we started moving. I finished a sewing project that had been “done enough” and started a new one. Also, I wanted to share a few other sewing related hints that have made life a little easier on Journey. 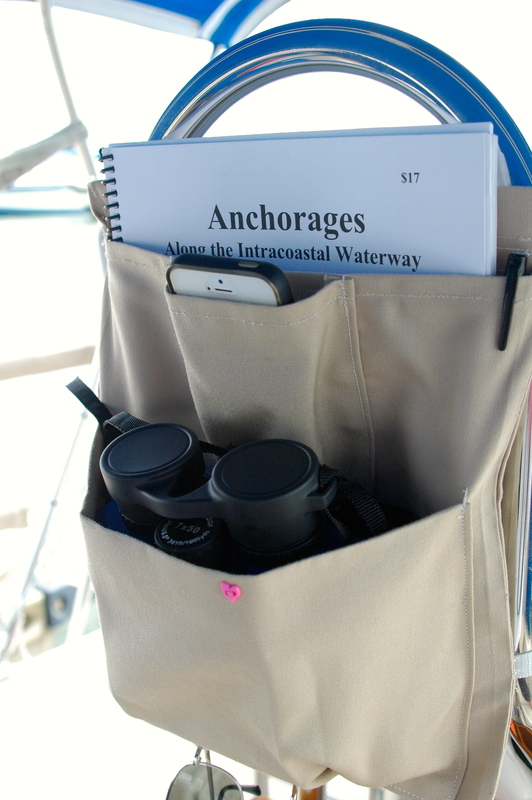 Before we departed, I did a lot of reading about various things to sew on a boat. 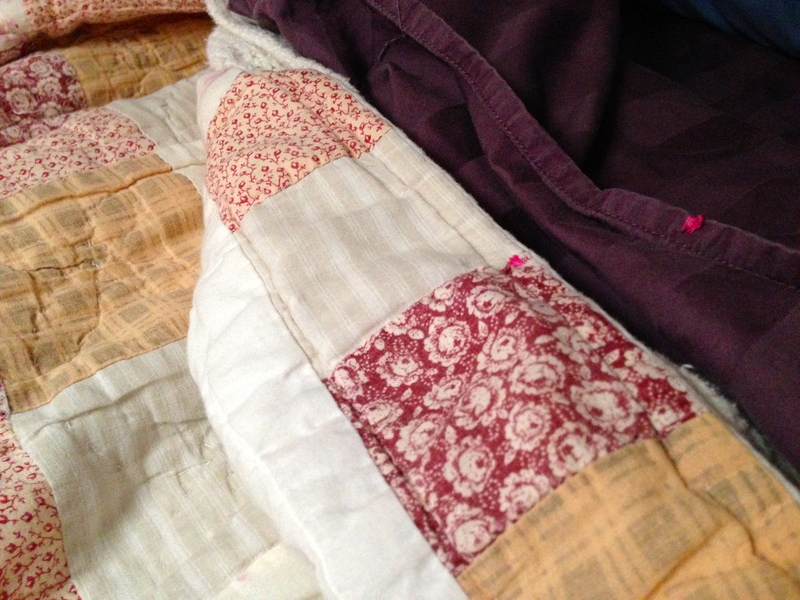 I found a hint somewhere about adding a little stitch of brightly colored thread to the middle of your sheets or blankets to help line things up when you are making your bed. 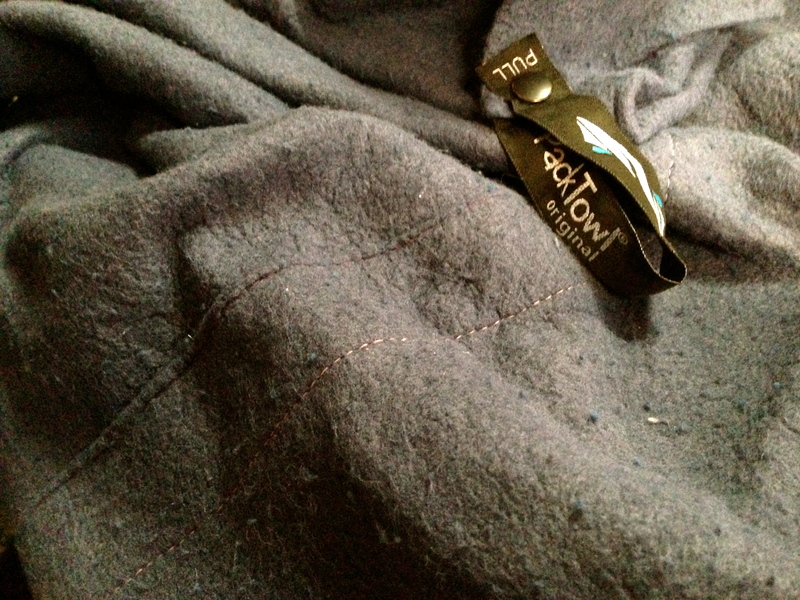 I stitched a little pink spot on our sheets and blanket and it has been really helpful. Remember, I can’t stand on the side of my bed and toss the blanket over the bed, in a V-berth like ours I have to be in it to make it. This trick is awesome! Our boat came with snaps around the hatches, so I made some mosquito screens for our hatches, which were super easy to do once I discovered bias tape. It’s not tape at all, it’s a really helpful, already made thing, that makes projects like screens really easy! 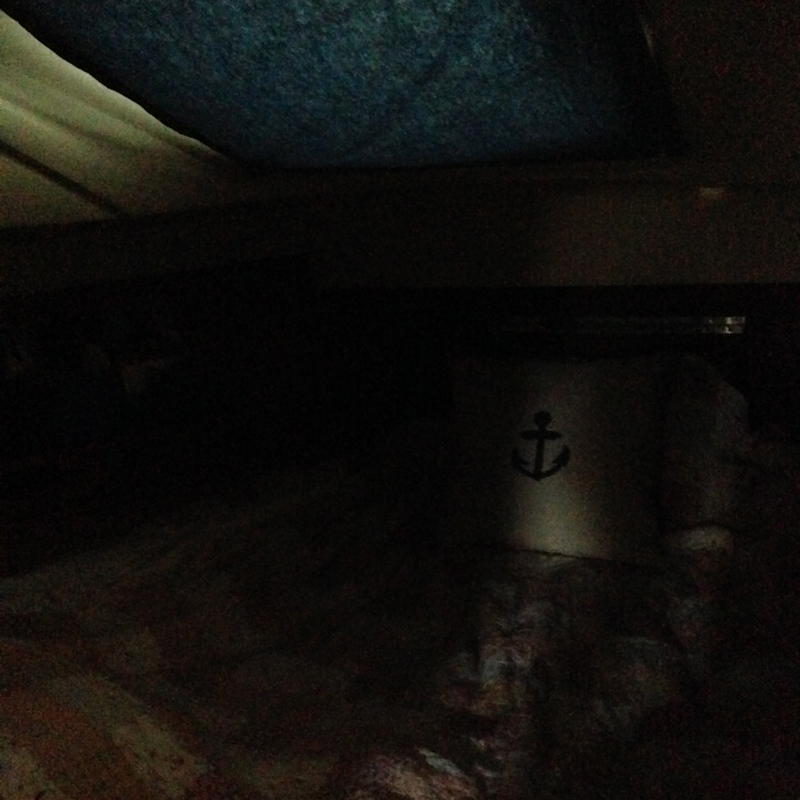 I also made a black out “curtain” for our bedroom that snaps into place. The hatch in our room is exactly over your face, which is lovely for star gazing at night, but horrible for sunshine in the morning! Our room after the curtain! 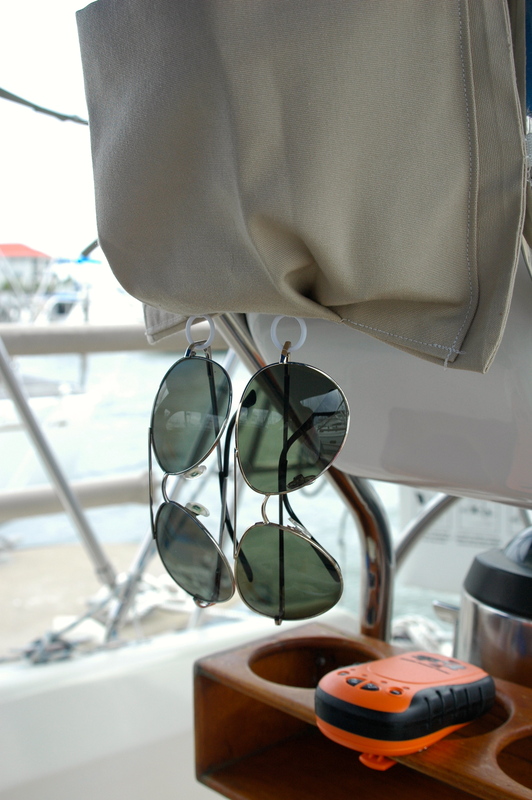 We learned quickly that on a boat, hooks are your best friend! Journey came with lots of hooks but we added even more! 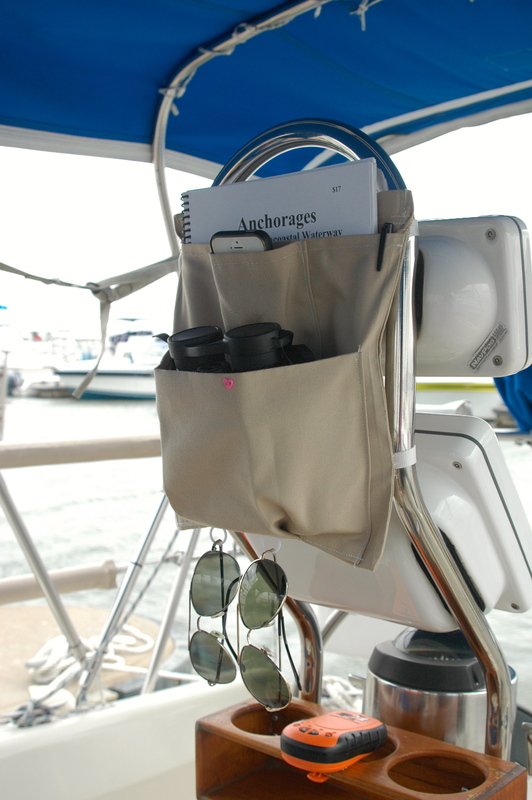 I noticed that our towels were constantly falling off of the hooks underway because the movement of the boat was a little too much for them. I had some extra webbing lying around from when I marked our anchor rode, so I cut some of that, and sewed a little ring on each of our towels. Solved that problem really quickly and they come in handy in marina showers as well. 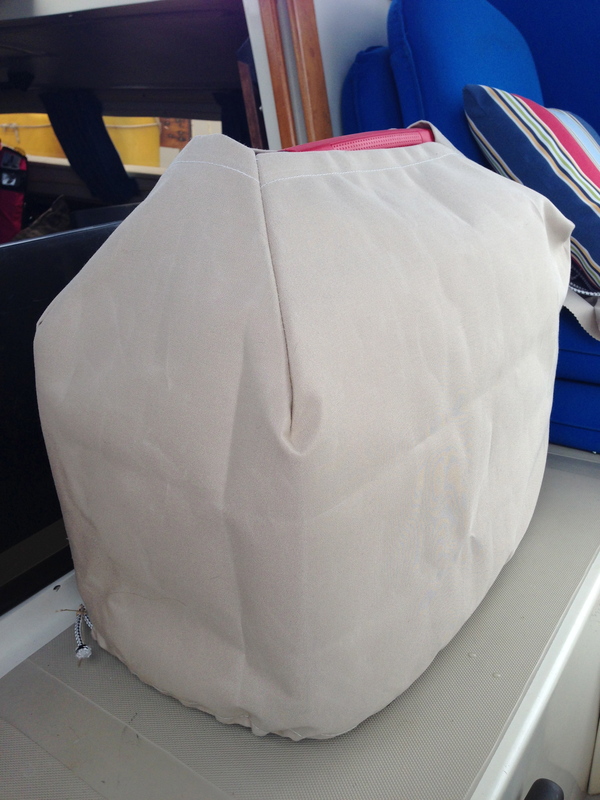 I read on countless blogs that Pack Towls were the way to go on a boat. So far, I absolutely have to agree, but the sizes are strange especially for a hair towel. We registered for a few and got what we asked for (thanks, by the way! ), the extra larges are perfect for a whole body towel, but the medium sized ones were so oddly shaped. 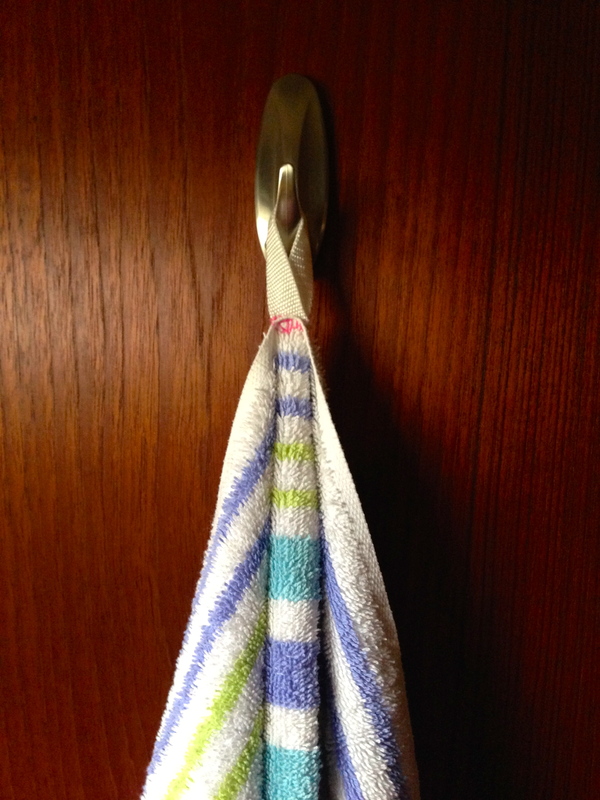 They are long and skinny which is great for a hand towel or a kitchen towel, but not for hair. After a few weeks aboard, we realized that JR didn’t need his medium sized towel so I snatched it up and sewed the 2 medium ones together! Now I have the (almost) perfect sized hair towel! My current sewing project is to make a cover for our generator. There was a thread recently on the Woman Who Sail Facebook page that addressed this, but after talking to JR, I found that he was kinda’ particular about what he wanted (imagine that!) Everyone locks theirs up a different way and I figured if I can make it custom to his needs, why not? So while we’ve been holed up in Charleston, I finished the base of the cover with a shock cord running around the bottom. Now I’m trying to figure out the best way to make a top for it, so that his lock can run through and still protect the generator from rain and sunlight. Now it needs a top! Great tips! I’ve been going crazy with making pockets for everything. 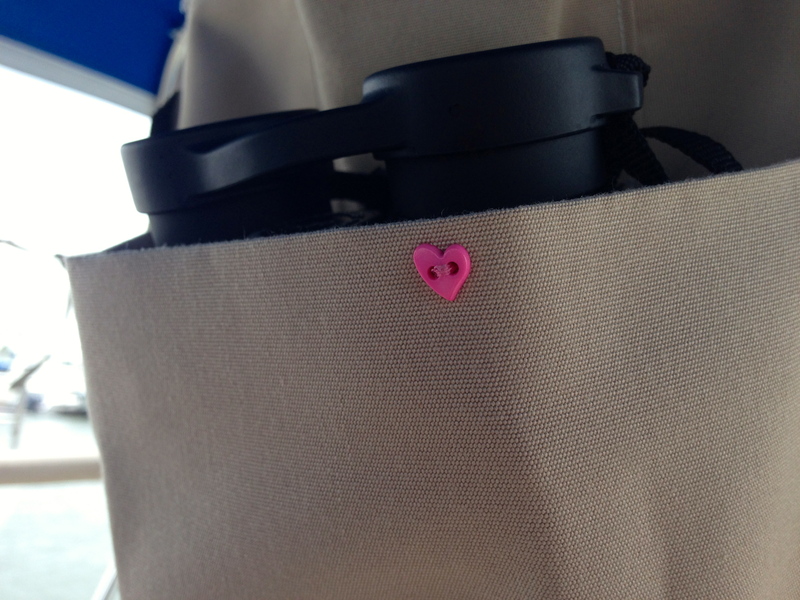 It makes life so much easier on the boat! I just made a few mosquito screens for our hatches and even our companion way. I’ll have to share that project soon! Please do! 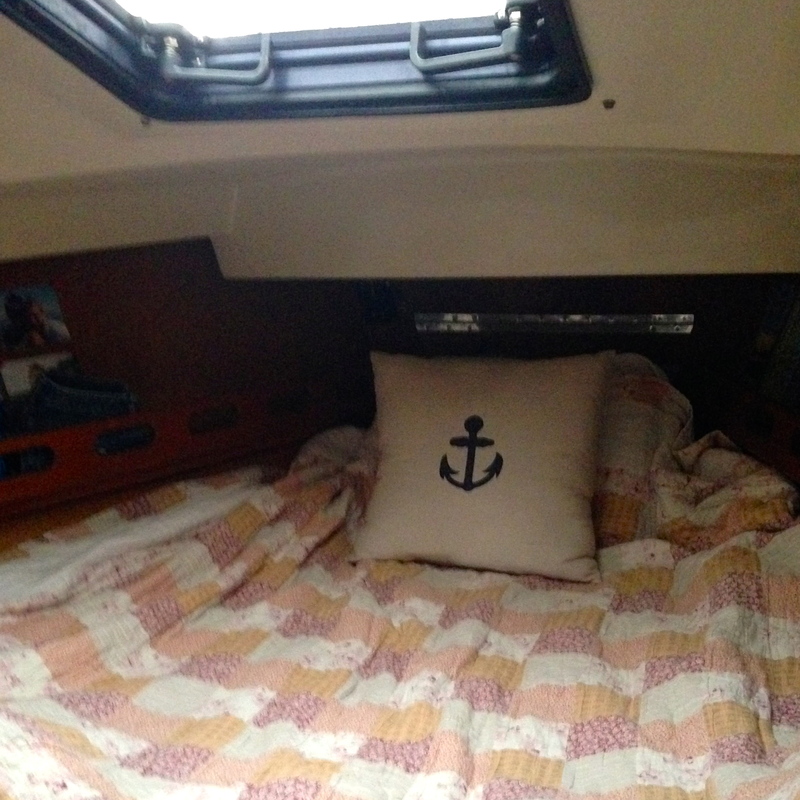 We could use one for the companionway too!